A truly classic bracelet design! 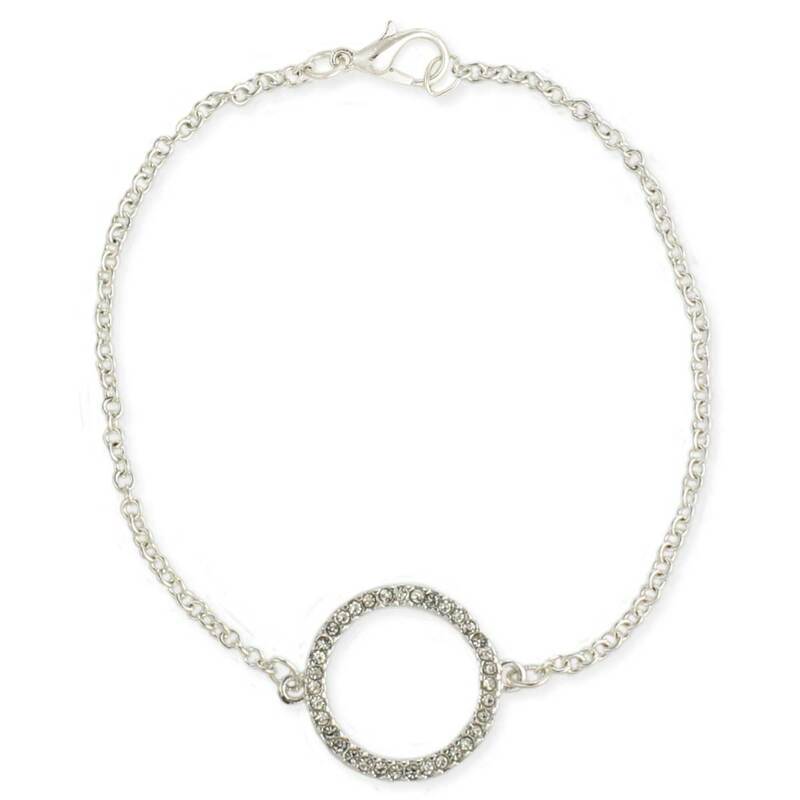 This basic silver chain bracelet includes a clear crystal studded circle piece at it's center. With it's expensive look and timeless appeal, this silver circle bracelet will add a sophisticated elegance to your day!